On July 24, 2018, Smith & Howard announced that J. Sean Spitzer will assume the role of Partner in charge of the firm’s Assurance Services group, effective January 1, 2019. Spitzer will succeed Sean Taylor who will become Managing Partner of Smith & Howard on January 1, 2019. Spitzer will oversee advisory, audit, review, attestation and other assurance services to the firm’s privately-held business clients. 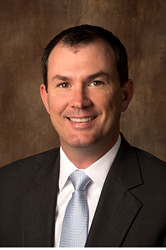 Sean joined Smith & Howard in 2002 and was promoted to Partner in 2014. “I have been working with Sean since he joined Smith & Howard almost 20 years ago. He is well suited to lead our assurance practice, having the trust of the firm’s leaders and employees as well as that of our clients,” said Sean Taylor, current Assurance Services practice leader and incoming Managing Partner. Sean earned a BBA and a Master of Accountancy from the University of Tennessee. He is a member of the American Institute of Certified Public Accountants and the Georgia Society of Certified Public Accountants. In addition, Sean is a member of Vistage International and is former Treasurer and Audit Committee Chairman for the Center for Children and Young Adults. Smith & Howard is a top Atlanta accounting and advisory firm serving middle-market businesses in the construction, manufacturing, distribution, real estate, nonprofit, hospitality and technology sectors. Services include audit and tax services bolstered by sales and use tax, international tax consulting, SOC reporting, technology consulting and Robotic Process Automation, among other offerings. More information is available on the firm’s website at https://www.smith-howard.com.